There are some things we have to know, like about hundreds of girls being kidnapped, the damage the production of palm oil causes, and of course, climate change. But there are a whole load of other things I’d really rather not know. I don’t know if it’s because we as humans like to pick apart the talent and achievements of others in an attempt to knock them down to a level we’re more comfortable with, or if it’s just a mawkish attraction to grubby gossip, but don’t we just love those hidden skeletons. A lot of her information wasn’t criminal in any way, and most importantly was just one side of the story. I don’t care as much about the living celebrities who find themselves exposed, as they know what tabloids are, and they are here to defend themselves, but it’s still sad to see someone you like tainted. 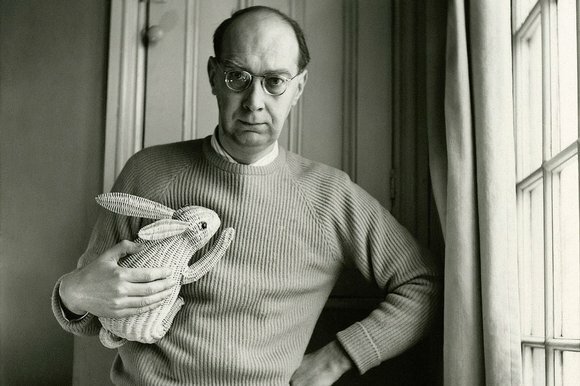 Philip Larkin is one of my favourite poets. After his death some of his personal letters were published that showed him to have been sexist and racist, and I really wish they hadn’t. The fact is we all have sides that aren’t suitable for public consumption, and while some dirty secrets are terrible and need to be exposed, especially if there are victims, such as the people we now know were abusers, but unpalatable opinions are not something we all need to know. A law wasn’t broken and there aren’t specific victims. There is a quote from W.H Auden, which to me, especially relates to Larkin. Language is the mother, not the handmaiden, of thought; words will tell you things you never thought or felt before. I feel this when novels put concepts in my head, but most keenly when the concise wording of a poem. Larkin’s Aubade is one of my favourite poems about death. I love the part below, with the imagery of death casting a bright glare, as well as life being torn off unused, something that when I first read as a teenager, make me think of a roll of kitchen towels, and still does. I have to get my head around separating people from their work, and remember the time and societies they grew up in, and also that none of us, barring Mother Teresa and a few others, have sides that would not hold up very well to scrutiny. And that definitely includes my grandmother. She once stole a load of plant cuttings from Kew Gardens. And knowingly donated out-of-date tinned fruit to the church food collections. Oh yeah. I remember. Larkin was also quite active with the ladies, apparently. And toy bunnies. ← Yes, of course my Dickens challenge requires accessories! However disappointing our literary/artistic/musical heroes turn out to be, I think it’s vital we separate the work from the writer/poet/artist/composer. To be human is to be flawed, and, like you say, we all have aspects of our characters that we’d rather keep private. Also, I think that when you read a poem/novel, it resonates with you through the thoughts, feelings, memories and life experiences you carry with you. You could say that rather than belonging solely to an author, the meaning exists as a kind of emotional collaboration between both the author and reader. Sometimes though, it’s hard to make that separation, and if an artist or writer’s ‘crimes’ come to light they can irreparably tarnish your view of their work. In that case, to boycott someone’s work is fair enough, as you’re actually rejecting the author, not the works themselves. It’s not as common to find cases of it, but there must be many artists and writers who have serious qualms about who enjoys and publicly endorses their work, especially if they disapprove of their ideology or lifestyle. Morrissey’s recent disdain of fanboy David Cameron declaring his Smiths devotion on Radio 4’s Desert island Discs springs to mind! Sometimes I avoid reading about an author because I want to know the person who wrote the work through the work, not through their ability or inability to live true (and dealing with who knows what circumstances). We all fail to live true at times. In some ways, I think the person I get to know by reading their work is more the true them, more pure, untarnished by the world. That’s a very good way to look at it. So much comes through the work, and it really is what the author really wants to say, and wants us to know.